Simon Sinek has made a huge impact on my view of work and I have taken that into a transformation of Collingwood. We no longer come to work simply to do a job but during the last 3 years have focused on working with aspirational clients who share the same vision and values. Alongside this we have strengthened our team with individuals who also share our purpose and the results have been very impressive! No tot mention how much more enjoyable it is to jump out of bed and share each day with a team who share your "Why". We still have a lot of work to do but the foundations have been built and the future is very exciting. If you haven't already found Simon Sinek's crusade then I strongly recommend that you do! 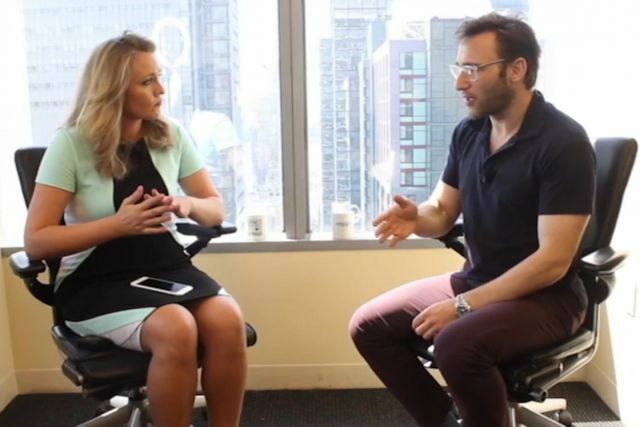 If you aren’t familiar with Simon Sinek’s name, you’re probably familiar with the movement he created, launched with the release of his international bestselling book, Start With Why. You may also recognize his face from his subsequent TED talk, one of the organization’s most popular videos ever, with more than 28 million views. This New York Times bestselling author and speaker is not just spreading an idea, he’s leading a crusade. His goal? To build a world where the vast majority of people go home every day feeling fulfilled. His refreshing views on business and leadership have attracted meetings with organizations such as Pfizer, NBC/Universal, 3M, Costco, Deckers, Ernst & Young, JetBlue and more.